Sprint Nextel Corporation (NYSE:S) reported earnings on April 24. Here are the numbers you need to know. For the quarter ended March 31 (Q1), Sprint Nextel Corporation (NYSE:S) met expectations on revenues and exceeded expectations on earnings per share. Compared to the prior-year quarter, revenue grew slightly. GAAP loss per share dropped. Gross margins expanded, operating margins shrank, net margins grew. 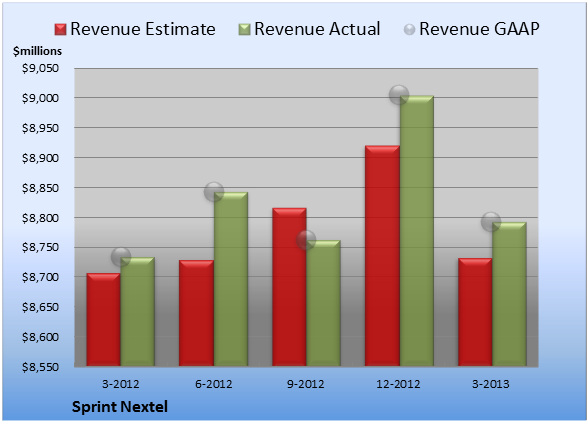 Sprint Nextel Corporation (NYSE:S) booked revenue of $8.79 billion. The 18 analysts polled by S&P Capital IQ expected a top line of $8.73 billion on the same basis. GAAP reported sales were the same as the prior-year quarter’s. EPS came in at -$0.21. The 13 earnings estimates compiled by S&P Capital IQ anticipated -$0.30 per share. 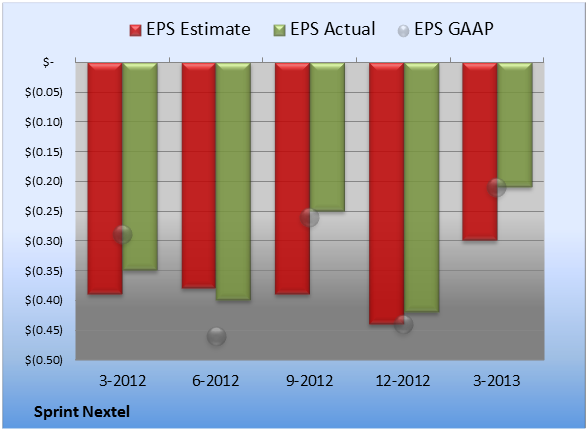 GAAP EPS were -$0.21 for Q1 against -$0.29 per share for the prior-year quarter. Next quarter’s average estimate for revenue is $8.67 billion. On the bottom line, the average EPS estimate is -$0.22. Next year’s average estimate for revenue is $35.09 billion. The average EPS estimate is -$0.76. The stock has a two-star rating (out of five) at Motley Fool CAPS, with 2,025 members out of 2,493 rating the stock outperform, and 468 members rating it underperform. Among 444 CAPS All-Star picks (recommendations by the highest-ranked CAPS members), 346 give Sprint Nextel Corporation (NYSE:S) a green thumbs-up, and 98 give it a red thumbs-down. 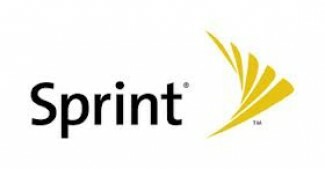 Of Wall Street recommendations tracked by S&P Capital IQ, the average opinion on Sprint Nextel Corporation (NYSE:S) is outperform, with an average price target of $6.86. The article Sprint Nextel Beats Up on Analysts Yet Again originally appeared on Fool.com and is written by Seth Jayson.